The Webinar Wednesday series continues to educate and impress HTM professionals throughout the world. These sessions provide 1 CE credit from ACI on a variety of pertinent topics. Check out 1TechNation.com/Webinars for a schedule of upcoming webinars. The recent Webinar Wednesday session “Achieving Better Outcomes Through a Safe, Efficient and Cost-Effective Depot Repair Solution” sponsored by PartsSource was a hit with the HTM community. The webinar was presented by PartsSource Vice President of Product and Service Solutions Brian Tournoux and Vice President of Client Services Will Kinsey, MAP, PMP. They addressed the state of depot repair in an industry relying on safety, security and compliance. They also touched on transactional effectiveness gained from technology enablement, consolidation and process management. Almost 300 people attended the live presentation and more have viewed the archived webinar online at 1TechNation.com. Biomeds who attended the live webinar were impressed by the presentation and learned new things about PartsSource. “I attended the webinar aware that PartsSource does depot repairs, but I was unaware of the lengths that they go to for quality assurance and customer satisfaction. It was very interesting to learn that you are able to track your equipment during the repair process. PartsSource is definitely a company I will keep in mind for when I need assistance with certain repairs,” wrote Biomed Jennifer L.
“The webinar on depot services was well presented, thorough, and had invaluable information on how to improve your service depot quality, processes, and other information to look into, in order to make it successful. I highly recommend this for everyone to peruse, be a part of, and take into consideration,” wrote Clinical Engineer George D.
The webinar “Ultrasound Applications Essentials and Image Artifact Analysis” received the highest attendee rating of any webinar in 2017. The webinar drew 256 attendees and scored a 4.5 rating. Matt Tomory, BASc, head of strategic advancement at Innovatus Imaging, formerly Bayer Multi Vendor Services, presented the webinar. He has over 30 years of experience in the diagnostic ultrasound industry with manufacturers and independent service organizations performing a wide variety of roles including field service, service management, service technical training, technical support, technical writing, research and development, clinical applications, sales and marketing. During the webinar, Tomory presented essential ultrasound image optimization and terminology to empower attendees to better understand how ultrasound images are formed and manipulated. He also covered the topics of image artifacts and noise, their sources and various remedies. The webinar was sponsored by Innovatus Imaging. Innovatus Imaging is a provider for MRI coil, ultrasound transducer, CR reader and dry film printer repair. Attendees praised the webinar in post-webinar surveys. “After my experience with this webinar I feel that I have gained a better understanding of the basics of ultrasound. I am always looking for more ways to increase my knowledge and this was a fantastic webinar. I am excited for future webinars and future learning,” said Imaging Service Engineer David B. “Matt was very informative and held my interest the entire time. He explained subject matter in a way that was very understandable. He crossed over from imaging to design and performance features to service ultrasound,” wrote Portable Imaging Specialist Douglas B. “This webinar was fantastic! I really learned a lot! It was like taking a basics in ultrasound course except in only one hour. Matt was an excellent presenter. I hope to attend more ultrasound webinars,” Biomedical Engineering Manager Glenn H. said. The Webinar Wednesday session “Recovering from Natural Disaster: How to Prepare Your Department and Get it Back Up and Running” was sponsored by Universal Medical (UMRi). UMRi Senior Product Manager Craig Diener, who has over 23 years of experience in nuclear medicine including 19 with an OEM in multiple capacities, and UMRi National Service Manager Craig Snodgrass, who has 15 years of nuclear medicine knowledge and technical experience in the field, presented the webinar. They discussed an overview of environmental/natural disaster concerns, expert recommendations on how to prepare a department/clinic for unexpected natural disasters, what to do after the occurrence of a disastrous event and how to have a proper support/service plan in place. The webinar was popular with almost 200 attendees. “The webinar on disaster recovery and preparedness was top notch,” Biomed Keith M. wrote in his post-webinar survey. “Thank you for stressing the importance of preparing for a disaster before it happens rather than reacting to one that has already happened,” Biomed George S. shared. “As someone who had to deal with the post-hurricane recovery in Houston, this webinar was a good reflection on how our response compares with the industry, what we could’ve done better, and some things we wouldn’t have thought of,” Imaging Specialist Ryan M. wrote. The September 27 webinar “RTLS Update: Choosing a Real Time Location System (RTLS) Technology Partner and Using RTLS to Transform Organizations” sponsored by Sonitor was a big hit. Doug Burkott, PMP, FHIMSS, program manager at Ascension Health Information Services discussed the selection process of an RTLS partner. Paul Schulz, healthcare consulting manager at Eide Bailly described a case study about how RTLS has impacted Altru Advanced Orthopedics resulting in transforming workflow improvement and team functionality. Almost 200 people attended the live webinar and several more have viewed a recording of the webinar online. “Great presentation. I wish the FDA would make this type of system mandatory for all health care facilities by the year 2020 for portable equipment,” Area Manager Lori C. said. “A very informative webinar, well run by experts in the field,” Biomed Fred R. said. 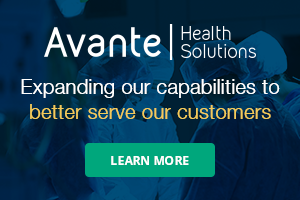 “This presentation was an outstanding way to learn about a new and different technology plus the decision tree criteria to select a vendor, very helpful,” Perioperative Clinical Engineering Supervisor Tim C. said. The Webinar Wedneday series continues to receive positive reviews. 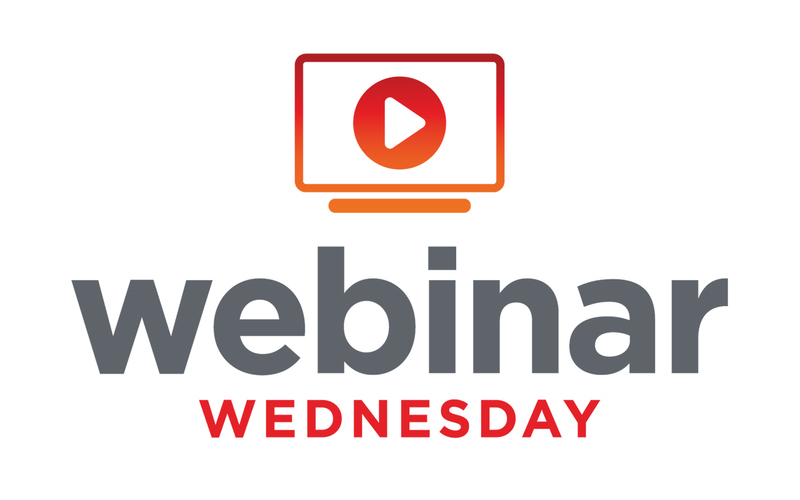 “The Webinar Wednesday series is a great way to keep abreast of new technologies, useful services and products, and areas outside of your personal expertise. I highly recommend it for new and established HTM professionals,” Lilly K., instructor/program head, said. “Webinar Wednesdays always presents new and interesting topics. I always enjoy seeing the new technologies – especially this one (RTLS). From equipment service to test equipment, I am always learning something,” Director of Clinical Engineering Jason R. wrote. “Webinar Wednesdays have allowed me to keep abreast and stay in step with current concerns and practices in the biomedical profession. The one-hour sessions are filled with the most relevant and readily useful information,” Bermuda Hospital Board Member Michael S. said. “The amount of information in the Webinar Wednesday series is truly phenomenal,” said Tech Assistant Ryan Z. “Webinar Wednesdays provide great, timely content over a wide variety of topics which is unavailable to their audience in any other format,” Technical and Clinical Support Specialist Ted L. wrote. “I really appreciate the Webinar Wednesday series, good subjects and good speakers, as well as a great way to continue my education on current subjects,” Biomed Michael M. shared. For additional information about the TechNation Webinar Wednesday series, including a calendar of upcoming webinars and recordings of previous presentations, visit 1TechNation.com/webinars.